So don't hesitate to make the short trip over from Jefferson City, TN to sit down with our Honda finance department today! We will carefully review the steps involved in the application process, answering any questions you may have along the way, so you can determine if you'd like to move forward with an auto loan. With help from Honda Morristown, bad credit financing is possible! Do I Qualify for Bad Credit Auto Loans? Many drivers qualify for financial assistance when purchasing a new or used vehicle, so don't let that Honda Accord Sedan slip through your fingers, contact our Honda dealership now! We will gather relevant financial information from you so that we can run a credit check. This credit check will provide some insight as to your background, and provides a starting point for our professionals. Our team has helped many drivers secure bad credit auto loans, and we enjoy a high rate of approval, so drop by our Morristown, TN location to learn more about qualifying for sub-prime auto loans now! 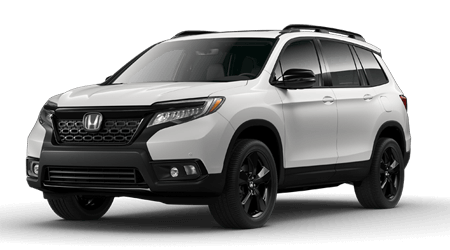 Our new and used Honda dealership near Rogersville, TN works with many financial institutions and loan lenders, ensuring we are exploring a variety of options that complement your current needs. Our Honda team is eager to help you build a solid financial base you can count on, while also working to help you lease the Honda Civic Coupe you've had your eye on, so contact Honda Morristown for bad credit financial assistance today!